Manzoor Parwana, Chairman of the Gilgit-Baltistan United Movement (GBUM), has recently spoken against the Pakistani Government’s will to make Gilgit Baltistan a Provisional Constitutional Province (PCP). According to the leader, this denomination is just a way to hide the fact that the Government has not handed over the local administration to the people living in the area. Gilgit Baltistan remains to this day the only Pakistani area not represented in the National Assembly nor at the Senate and with no assembly of its own to discuss and vote its laws. All of the Government of Pakistan's steps and proposals to make Gilgit Baltistan a “Provisional Constitutional Province (PCP)” and bring constitutional packages for the region are unlawful and hold no ground at all, as the region does not fall under Pakistan's constitution of 1973. This was stated by the Chairman of the Gilgit-Baltistan United Movement (GBUM), Manzoor Parwana, while reacting over the proposal of Islamabad to deal with the affairs of Gilgit-Baltistan as Provisional Constitutional Province. He said the “Provisional Constitutional Province” itself is a vague term and it is a joke regarding the denial of the rights of the people of Gilgit Baltistan. 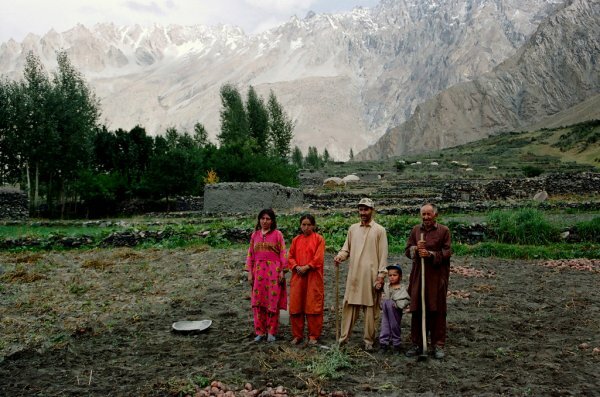 Gilgit Baltistan is a disputed territory, that is the reason the region has remained deprived of self-determination for the last 68 years. Pakistan had taken over the administrative control of the region temporarily under the dubious “Karachi Pact 28th April 1949” and was supposed to hand over the local administration of the area to the people’s “Self Autonomy” in accordance with the resolution of the United Nations Commission on India and Pakistan (UNCIP). The GBUM chief said the assembly of any country formulates laws to run the affairs of the State and make new provinces within the country in accordance with the wishes of the people. However, Gilgit Baltistan is the only area which neither has representation in the National Assembly of Pakistan and the Senate nor has its own assembly to formulate the laws. So the proposed de-facto Provisional Province will be a cause of insecurity and scarcity for the people of Gilgit Baltistan. Mr. Parwana said the struggle of the nationalist parties in the region is not based on any frustration, prejudice or hatred but was based on a geographical and ideological foundation. The creation of Pakistan was not aimed at depriving other nations of their rights. Therefore, the Government of Pakistan should take positive steps to reinstate the “Sovereignty of Gilgit Baltistan” in accordance with the UNCIP resolutions and principles of democracy.